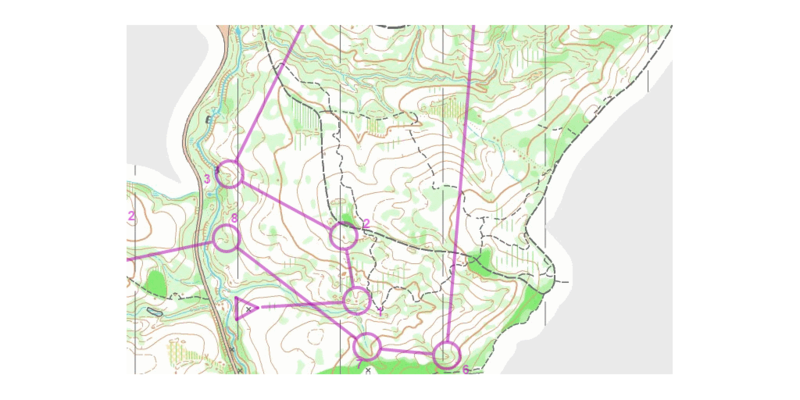 The mapping committee has decided to form a mapping bulletin, which will encompass all orienteering mapping related news in New Zealand. It is likely the news bulletin will not be a regular occurrence, rather when something newsworthy comes our way, we will send it on to the community. If you come across something relevant that you think would interest New Zealand mappers, forward it on to everyone, or send it to the mapping committee and we can do so for you. Hopefully everyone’s mapping projects are going well heading into the winter, and we look forward to running on them soon! At the beginning of the year, the ONZ mapping committee (and other New Zealand mappers) were involved in a revision of ISOM 2000, where the IOF asked for comments and suggestions on their draft of the new version. The draft has been attached, along with the comments received from the federations around the world that responded. When the call came out for submissions to the draft, the timing was difficult with holidays people had planned, along with the short time-frame given, so the ONZ mapping committee were unable to complete a full in-depth analysis of the new proposals. It is also clear that other federations felt a similar way about the revision process, but through a recent email to the IOF Map Commission it appears they are still open to suggestions and ideas (despite having come quite far in the process). In light of this, the mapping committee will look to test the new ISOM draft, especially on New Zealand terrains, in the hope that any improvements we may find will be incorporated. Alternatively, if our suggestions are not included in the new ISOM, we will at least have a greater understanding of the new symbol set, to effectively integrate it into our existing and future maps. If you would like to be involved in the revision process, then let Nick Hann know, and we can include you in our discussions. The 2014 National Champs were held in the Manawatu Region, with the Middle Distance at Manga Pirau and the Long Distance at Fusilier. The map printing for both of these events was evaluated by the IOF Map Commission, and the reports for these evaluations are attached. Mappers sometimes say “it’s not worth paying for the latest OCAD, I’ll stick with what I’ve got”. Michael Wood who bought the first OCAD in Australasia, writes, “The key thing for me in version 10 was the automatic positioning of aerial photos. Before that, you needed to know the coordinates of the corners, and do a “background adjust” as you would for a fieldwork scan. Aerial photos from councils and LINZ come with a tiny “world file” that contains the scale factor and position of the top LH corner; and OCAD uses that to position the photos in terms of the NZ grid”. Have you found the “reshape” tool? This feature in OCAD 11 has revolutionised my drawing. I used to try and draw just once, due to the pain of editing lines and boundaries. Even my own lines. And it doesn’t get easier with age. But the reshape is so easy that I can draw quickly and modify. In reshape mode you simply redraw the bit of the line that needs changing. Used in conjunction with curve following its even more powerful. Tweak a road, and redraw the green edge that abuts it, by curve following. It’s’ magic! Bound to be things like this in OCAD 12, we all need a nudge to get out of our habitual methods. Not so many years ago orienteering maps started life with photogrammetry. And we had our own orienteering photogrammetrist Stewart Hyslop in Hawkes Bay. Stewart hasn’t done a base map for 18 months now. And there would be some hurdles to jump, with NZ Aerial Mapping out of business. The photo library they used to keep on behalf of LINZ is now looked after by Opus Consultants in Napier, but it takes special equipment to make “diapositives” which are needed for Stewart’s machine. Before you say hmmph we use LiDAR data now, remember that coverage is uneven round the country, some councils have it and some only close to where people live. And a major contribution that Stewart made was in contour generalisation. LiDAR is data with a plus-or-minus error. A spot that is too high or low can have a spurious contour drawn round it. Less obvious, these errors cause contour wiggles that can’t be seen on the ground. Weeeell maybe you CAN see that slight hollow but is it the sort of thing that an orienteer can use at speed? By interposing a human brain between the photo and the contour, Stewart gave us contours that were realistic, likely, and much smoother than LiDAR-generated lines. By having to fieldwork IN the minor wiggles rather fieldworking them OUT, we ended up with more readable maps. Thank you Stewart. The Maptalk Forum www.maptalk.co.nz/forum has been around for many years. The biggest topic there is… Mapping. There are 800-odd posts. Comments, questions, answers. There’s another one “Printing Do’s and Don’ts” with 50. There’s a lot of experience there, ranging from newbie stuff to exotic. Why did my ponds come out green? Anyone can view, and after a simple sign-up procedure anyone can post. Right now it’s great for “current affairs” but not so good as an encyclopaedia. The Mapping Committee has a plan to harvest the wheat from the chaff, and drop it into containers by topic. You might be struggling with a distorted old map for example, or want to know about MTBO stuff, or take a trip though OCAD questions and answers. Watch this space. But in the meantime, use it to ask questions, and take part in the mapping discussion. Sadly, top Australian mapper Eric Andrews has passed away. Eric was a specialist in mapping the detailed granite areas that are popular there, and that gave rise to extremely pertinent advice on generalisation, which will live on. Something like, I look around and ask which rocks put their hands up and say “pick me!” The rest don’t go on the map. The middle and long in this year’s Oz Champs will be in the Queensland granite belt near where he lived, and may well be on his mapping.